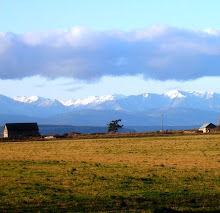 Seventy-five years ago Whidbey finally got its connection to the rest of the world! 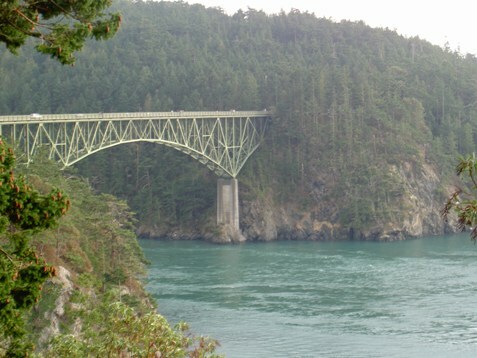 Two bridges were built connecting two counties and three islands (Fidalgo, Pass and Whidbey). 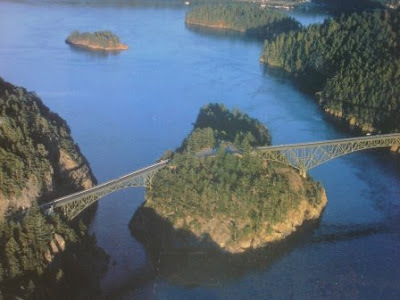 It took one year to build both spans (Deception Pass and Canoe Pass), making the Whidbey connection a complete success after many years of trying. 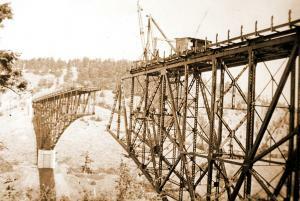 Construction began in August of 1934, with the Civilian Conservation Corps helping to blast for the bridge approaches. Puget Construction Company out of Everett was given the contract for building both bridges. Before the bridges were built, people coming and going from the island had to rely on a "man-made" ferry service between Cornet Bay on Northern Whidbey Island and Dewey Beach on Fidalgo Island. Deception Pass State Park had a festive celebration for the bridge's 75 years of existence, honoring the grand old structure with a ribbon-cutting ceremony and vintage pre-1935 cars crossing the bridges as was the protocol on July 31, 1935, when the bridge connection was initially dedicated. The bridge connection has increased population on the island, built the island economy, become home to a United States Naval Base in Oak Harbor, and established Whidbey Island as a popular vacation destination. Little did anyone realize at the time of its completion that the Deception Pass Bridge would become a "must-see" tourist attraction in Washington State and the most photographed site in the Pacific Northwest.